The pace of drilling in the North Sea, the center of U.K. oil production for the past 40 years, has sunk to a record as crashing energy prices force explorers to abandon costly projects. Just 63 percent of oil and gas rigs in the U.K. North Sea were being used as of Jan. 19, according to data provider RigLogix. That’s the lowest since the Houston-based company started tracking their operation in 2000. In the Norwegian North Sea, the 71 percent rate is also the worst on record. Producers in the region, home of the Brent benchmark, boosted output the past two years as projects approved in the era of $100 oil came on stream. Yet crude’s subsequent plunge has forced many to shelve growth plans as they reduce spending and staff. BP Plc intends to eliminate 600 North Sea positions over the next two years, adding to more than 90, 000 jobs the industry has cut in the area since the start of 2014. Drilling off Norway also has been expensive historically. A 2012 government-commissioned report showed drilling costs there were the highest in the world, as much as 45 percent higher than in the U.K. While companies operating off Norway can claim a portion of their costs back from the state, they’ve still put projects on hold. Brent crude dropped as much as 72 percent since June 2014 to a 12-year low under $30 a barrel as global supply swamped demand. It surged 10 percent Friday to $32.18 a barrel on the London-based ICE Futures Europe exchange. 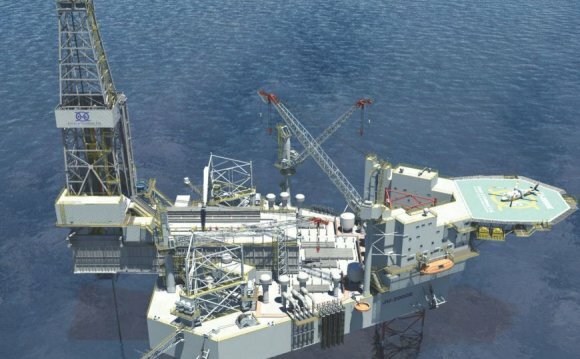 Statoil ASA, which operates more than 70 percent of Norway’s oil and gas production and dominates its offshore industry, has in the past 1 1/2 years scrapped the equivalent of four years of drilling by one rig, according to data compiled from company filings. Before long there’ll be a rig “graveyard” in the North Sea, Nordea Markets said in November. The 30 exploration wells planned off Norway this year compare with 56 in 2015, the Norwegian Petroleum Directorate said Jan. 14. Statoil has lost more than 20 percent of its value in the past year. Norwegian driller Seadrill Ltd. tumbled 79 percent. Transocean Ltd., which also drills in the North Sea, declined 40 percent in New York. The slump in rig use is likely to curb production that’s been rising for two years after a long period of decline. Crude output climbed to an average 2.5 million barrels a day in 2014 and 2.6 million in 2015, according to the International Energy Agency. The IEA forecasts volumes will drop back to an average 2.5 million this year. Dwindling North Sea production is likely to result in higher U.K. oil imports as the decline in supply outpaces weakening demand, according to Johannes Gross, an analyst at researcher JBC Energy GmbH. Norway will remain a net exporter, he said. The contraction in active rigs is reflected in shrinking fees for their use, known as day rates. Fees for the most advanced floating rigs have fallen to about $250, 000 a day from as much as $650, 000 in 2013, Oslo-based Pareto Securities AS said last month. Transocean said Dec. 1 it will drill four wells off Norway for a day rate of about $180, 000, the lowest recorded tariff in the Nordic country since oil began to tumble in mid-2014. Other oil-producing regions aren’t immune to the rout. Southeast Asia and the Gulf of Mexico have also seen drilling slow, according to Rigzone.com Inc., the owner of RigLogix. The Middle East has been less affected because national oil companies there tend to prioritize production over prices, said Terry Childs, a senior analyst at Rigzone. Yet the pain for North Sea drillers is particularly acute. In Norway, more than 27, 000 job cuts have been announced in the oil industry since the beginning of 2014, according to DNB Markets. Over the same period in Britain, industry group Oil & Gas U.K. puts the losses at 65, 000.